The G3 from LG Electronics has a jaw-dropping quad-HD screen that will help set it apart from competing products, but some users may be turned off by the fact that it’s made of plastic. LG’s new flagship smartphone was finally launched on Tuesday. The unit that IDG News Service was able to review was the Korean version without the final version of the software, but during a brief hands-on the smartphone performed well. The G3’s headline feature is a really impressive-looking 5.5-inch screen with a 2560 by 1440 pixel resolution, or quad HD. The resolution sets it apart from competing Android-based products from Samsung, Sony and HTC, which all have 1920 by 1080 pixel screens. The G3’s resolution equals 538 ppi. In comparison, Apple’s iPhone 5s has 326 ppi. Before I saw the G3’s screen for myself I wasn’t convinced that there was a need for the higher resolution. But now I find it hard to see why anyone would want anything less, especially on a bigger screen—but only assuming that the battery life doesn’t suffer too much. LG said that the battery life on the G3 can keep up with other high-end smartphones that have smaller screens and fewer pixels to move around. We’ll see whether that is true when the company puts out devices with the final software; until then I am slightly skeptical. LG executives demonstrate the high resolution available in the new G3 smartphone. The image on the far right mirrors the new phone’s Quad HD display. The G3 highlights how fast smartphone screen sizes have grown in the past couple of years. But while the screen size on the G3 has grown, LG has managed to keep the overall size in check. The G3 is still a big device, but I was still able to put it in my pocket with just a few millimeters of the corner protruding. Smartphone design has been a hot topic since Samsung revealed that the Galaxy S5 will still be made out of plastic. LG has decided to stick with plastic as well, but has done what it can to make some of the colors look like metal. I prefer the look of the G3 over Samsung’s Galaxy S5, but the device doesn’t look as premium as the HTC One M8. Some of the features that I am happy to see are integrated support for wireless charging and the removable 3000 mAh battery. The G3 isn’t water- and dust-proof, and it doesn’t have an integrated fingerprint reader. The overall performance of the device felt very snappy, including the new autofocus, which uses an infrared laser beam. There will be two basic versions to choose from, one with 16GB of integrated storage and 2GB of RAM and one with 32GB of storage and 3GB of RAM. The latter is the obvious choice between the two. 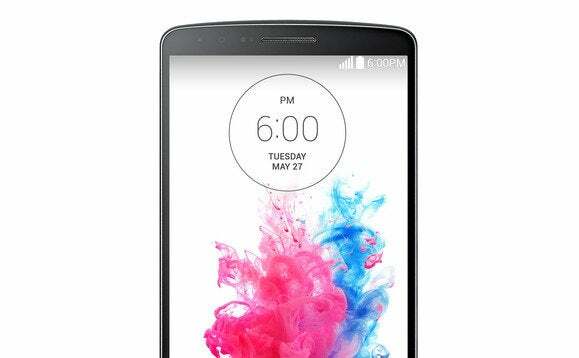 The G3 will start shipping in June in both Europe and the U.S. LG has not yet divulged pricing.